MINI will be showing of the latest addition to its line up at Frankfurt, the MINI Coupe, before it goes on sale in October. There’ll also be a selection of models from the MINI Yours collection, which showcases the high level of customisation available with MINI products. 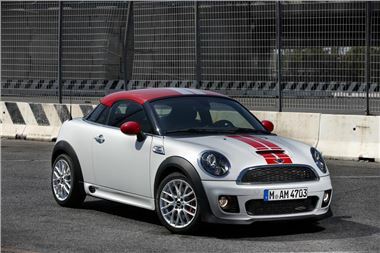 The MINI Coupe is a two seat sports car designed with driver enjoyment at the top of agenda. Featuring an extremely rigid body, bespoke suspension set up and aerodynamic tweaks like an extending rear spoiler make for a dynamic drive. Engines range from 122bhp to 211bhp in the John Cooper Works version. Besides the distinctively designed Coupe, MINI will be showing off the array of customisation options and special edition models available, with the INSPIRED BY GOODWOOD and Clubman Hampton special editions on the stand, along with a host of individual trims and details which are available on various models, including the new Coupe. For more Frankfurt Motor Show news, click here.